10-foot tablecloth fits perfectly overtop of an 8-foot table. 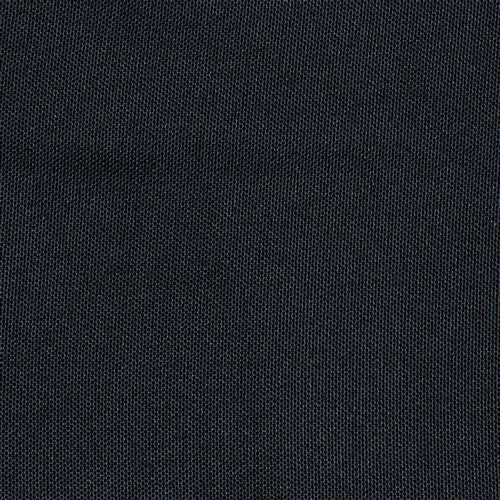 Black polyester fabric is strong yet attractive. Simple design is easy to set up & won't bubble or bulge. A table cover is intended for covering the top surface area of a table, when used together with skirts. 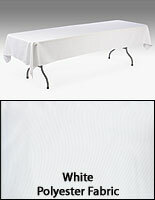 This skirting accessory, tablecloth is a 10-foot-long topper ideally meant for use on top of an 8-foot long table. This will eliminate any excess fabric from hanging around the sides of your table, therefore making it easy to attach your skirting overtop. 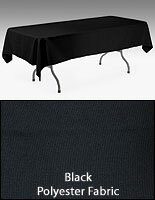 The table cover, also known as tablecloths, is manufactured from 100% polyester fabric and features a solid black color. The neutral tone of this linen will allow users to use other vibrant colored accessories without clashing. This table cover will last throughout multiple uses, yet it will also look great, helping to highlight a table top display. This topper is priced at or below the normal fees associated with renting linens. Buy the table cover in higher quantities so you can create a unified presentation within a large banquet area or reception hall! Buying in bulk also lowers the per unit cost, thereby saving even more money versus renting. 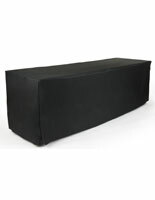 This table cover is designed to fit 8-foot-long tables and can therefore be used with all three sizes of table skirting, currently available through our website. See related products. The tablecloth, table cover is only 54" wide and therefore will not hinder your ability to access items stored underneath a table, when only three sides are covered. 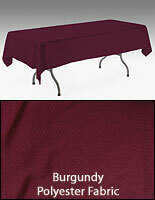 The smaller size also allows for guests to sit close to the table without interference from the linen. This table cover, such as a tablecloth, helps to create a more refined presentation than simple table throws or linens. Its strong fabric and simple design is sure to fit your tables perfectly, while lasting throughout frequent use. 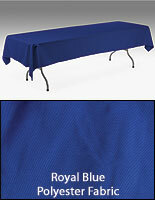 We recommend buying this table cover with a skirt and clips offered on this site. VERY NICE TABLE CLOTHS. ARRIVED VERY PROMPTLY.